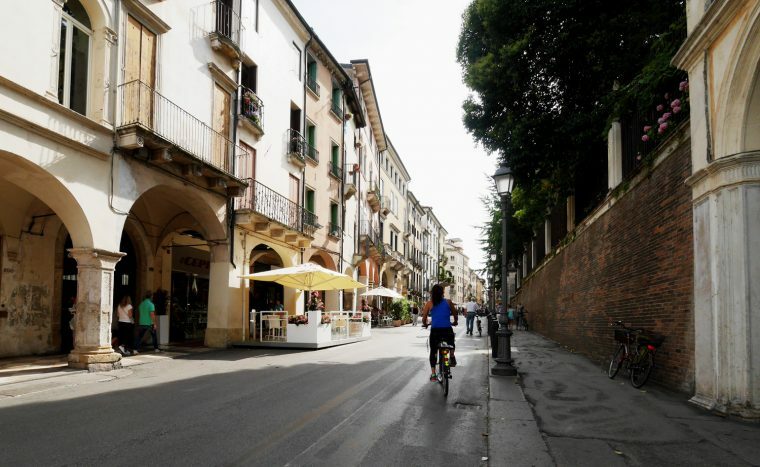 It was over ten years ago that I first briefly visited Vicenza, for not much more than a lunch break, while we were travelling from Venice to Lake Garda. I was totally charmed and vowed to return. 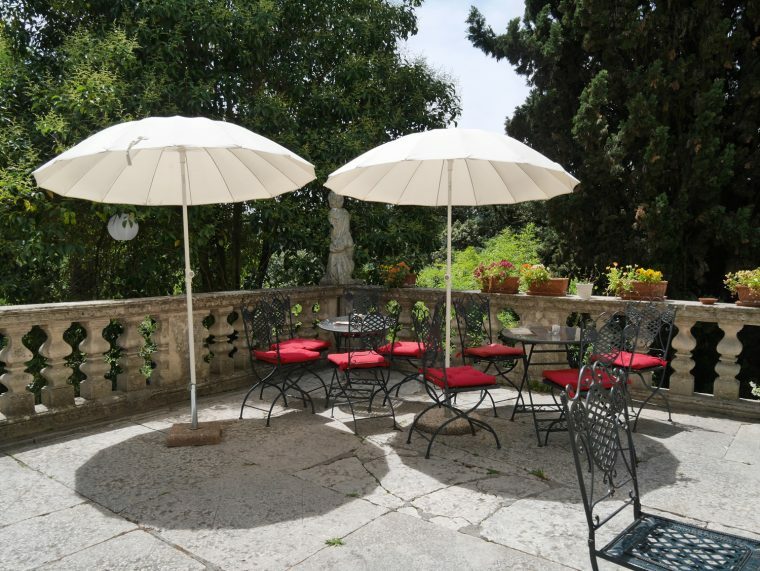 By chance, at the time I was planning this year’s trip to Italy and the Lido Palace Hotel, I was offered the opportunity to spend a night back there, with a little more time to see some of the City. There is plenty to do. Far more than a 24-hour stop-over allows for. It is one of those hidden treasures, far from the madding crowds, that you almost hope will remain that way. 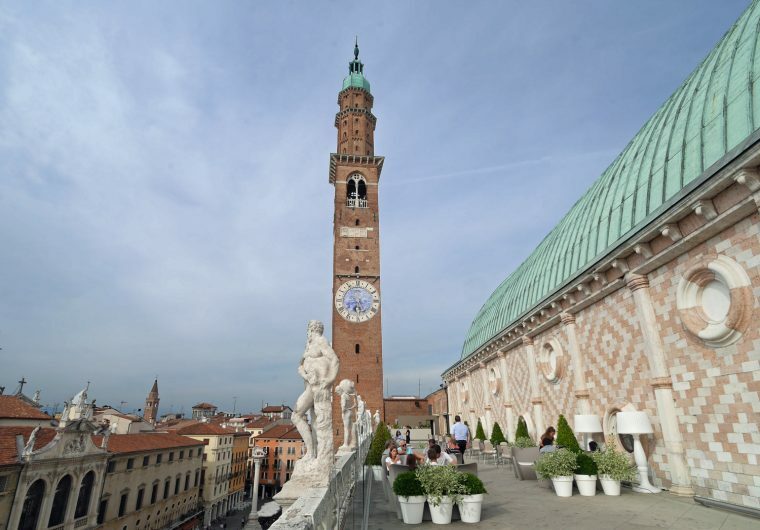 Vicenza is somewhere that still seems to be off the tourist map of part of Italy which includes the Italian Lakes, Venice and Verona, all around an hour’s drive away. 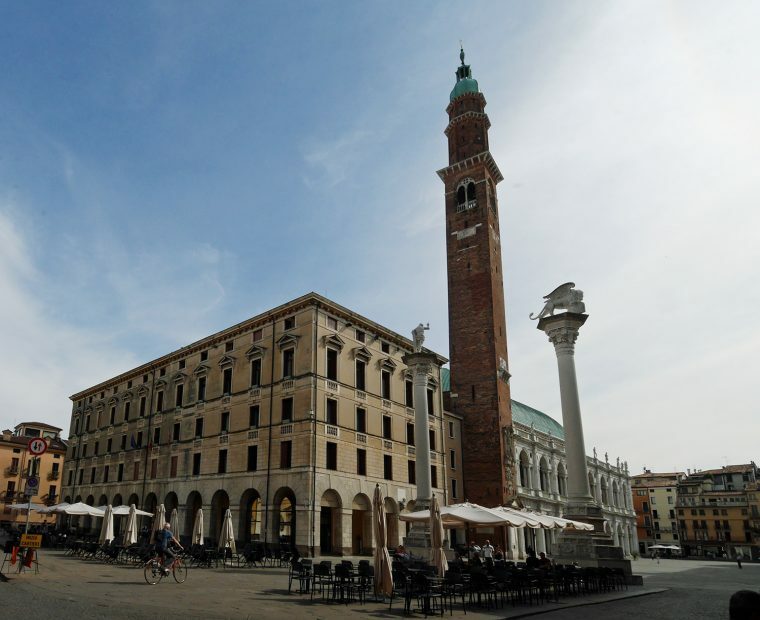 To understand Vicenza it’s important to put the development of the city in the context of Venice and the Venetian Empire. Around the 15th and 16th century, Veneto, the region of Italy that is home to both cities, was wealthy and prosperous. But, while Venice was glamorous, Vicenza was somewhat down at heel and lacked elegance and charm. 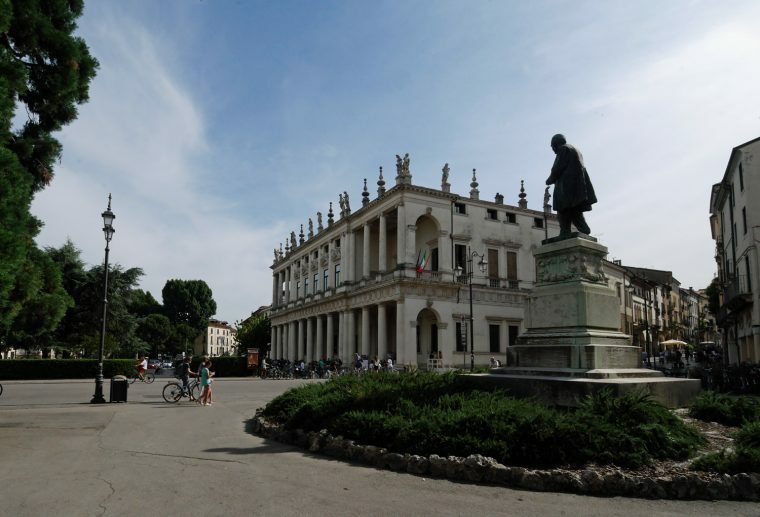 Palladio, born in nearby Padua as Andrea Di Pietro Della Gondola, was the son of a miller and trained as a stone mason. He was taken under the wing of Trissino, a wealthy scholar and humanist from Vicenza. 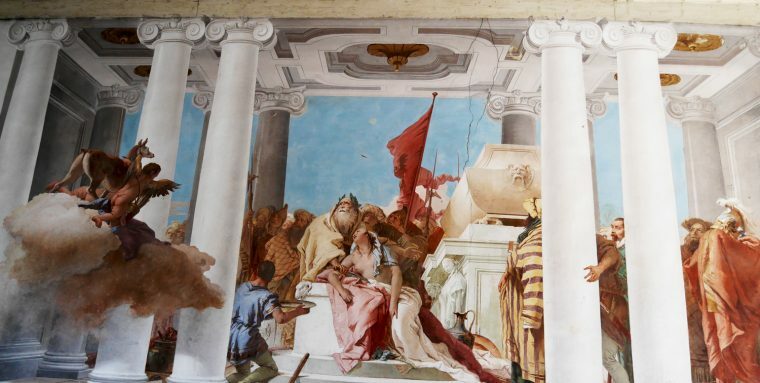 With his guidance, Palladio was given the opportunity to study ancient architecture in Rome. 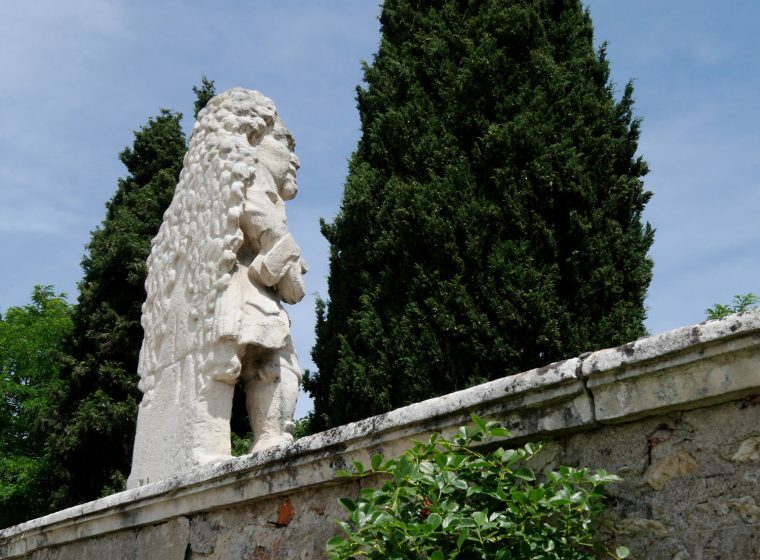 Trissino also gave him his new name, Palladio (wise one). The eponymous Palladian style is based on classic Roman architectural principles, for most of my life, I hadn’t realised that the originator was one man. Now, everywhere I go I find traces of his influence. 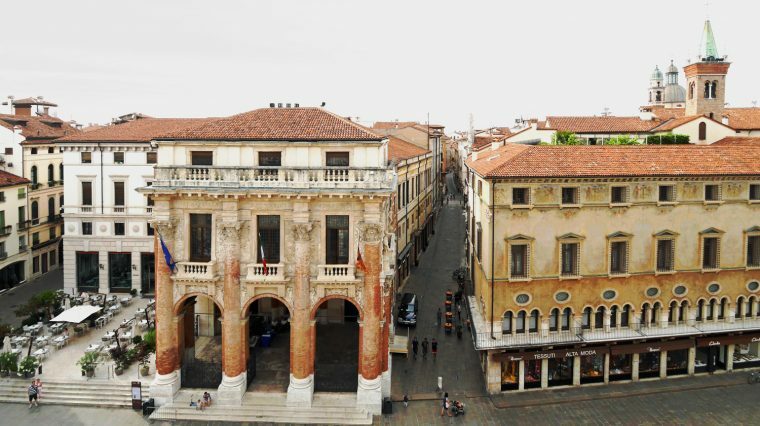 At about the time that Palladio was living and working in Vicenza, the whole region was becoming popular with wealthy Venetian merchants and nobility. If you like, the overspill from Venice itself. 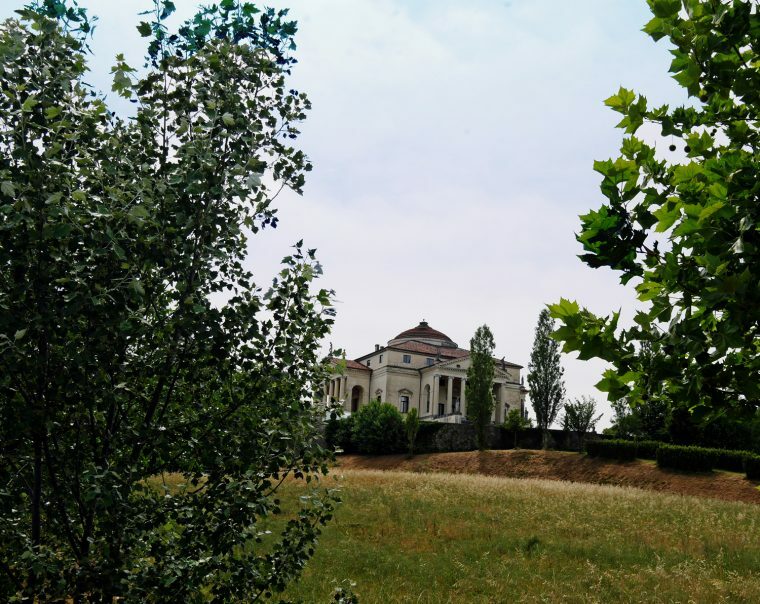 Palladian Villas are scattered around the region, the most famous perhaps, La Rotonda or Villa Almerico Capra Valmarana. 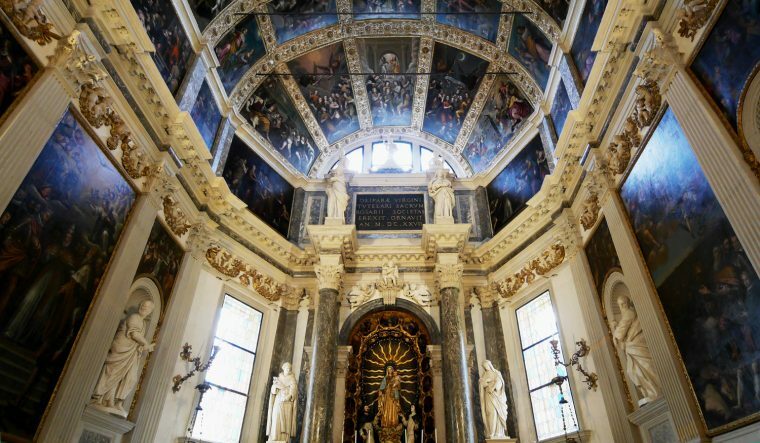 It was designed for the canon Paolo Almerico, who chose the location for his retirement. Even from the distance of the road it’s a stunning building and one which has been copied many times – there were at one time five houses in England based on La Rotonda and its influence can even be seen in the design of The White House. The unique design is a completely symmetrical building, based on a square plan with four facades. 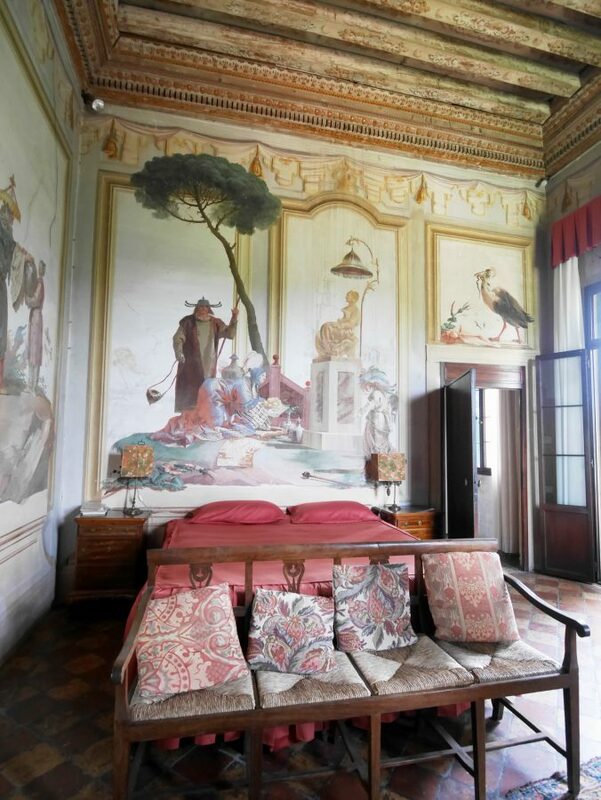 Wander around the Villa built in 1669, the Foresteria or Guest House and the Scuderia (Stables) built in 1720 and marvel at the complexity and beauty of these wall paintings. Or take a drink in the pretty garden cafe/bar. The name ‘ai Nani’ refers to the statues of dwarfs which surround the house and which were supposed to have been put there as guardians for an unhappy young girl, Princess Layana, the dwarf princess. Confined to the house by her parents, once she discovered her deformity, she is said to have taken her own life. 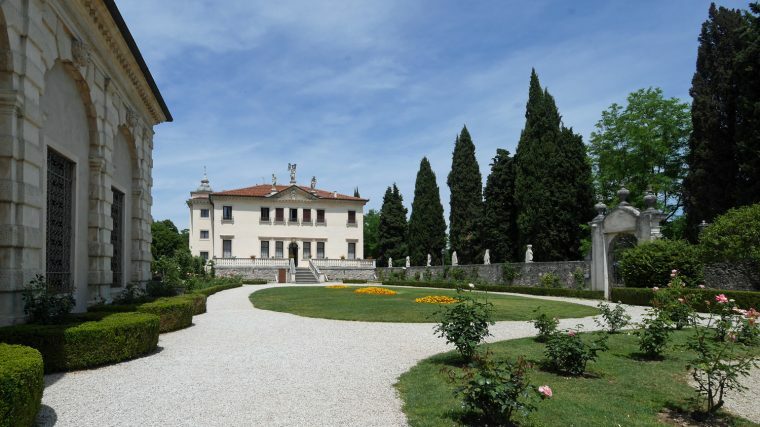 Members of the Valmarana family still live at Villa Valmarana ai Nani and visitors can also share the experience. Both the villa and the guest house have apartments to rent for holiday lets. The UNESCO listed City and surrounding area is dominated by the work of Palladio – in the heart, you’ll find the famous Basilica Palladiana. 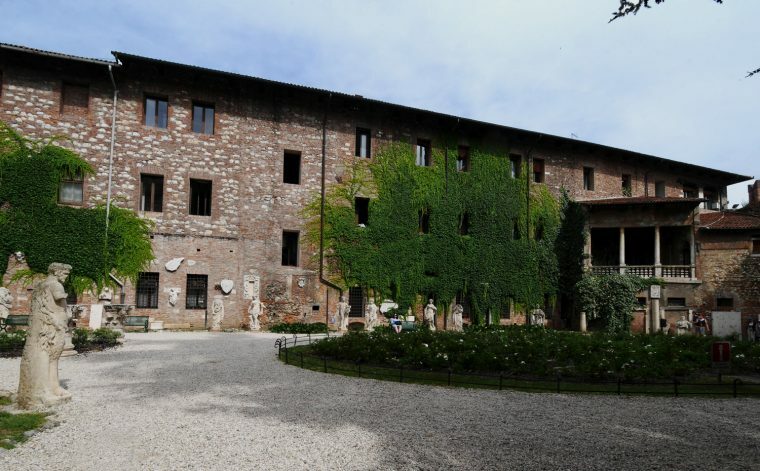 It is, in fact, a reconstruction of an existing palazzo built in the no-longer-fashionable gothic style. 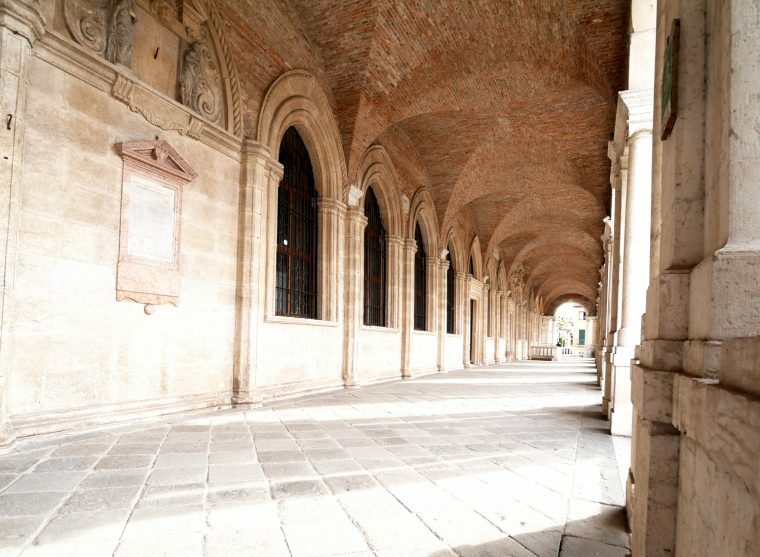 Palladio added a new outer shell of marble classical forms, a loggia with a series of arches – all carefully designed to create a ‘trompe-l’œil’ to make something not symmetrical appear perfect and a portico to hide the original Gothic architecture. 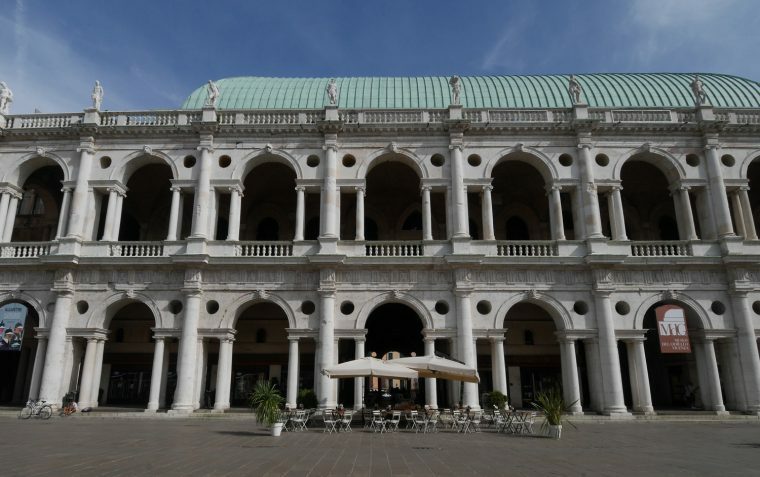 The name Basilica was also Palladio’s choice – taken from the name of ancient Roman civic buildings. It is a stunning building with a beautiful copper roof shaped like the hull of a boat, there’s also a rather useful cocktail bar with views over the Piazza. The highlight of the City for me though was a Night at the Opera. I had intended going to see the opera in Verona. But, a technical hitch, in the form of booking the trip without checking when the opera season started, meant that didn’t happen this time. What I did manage to see though was just as amazing an experience. 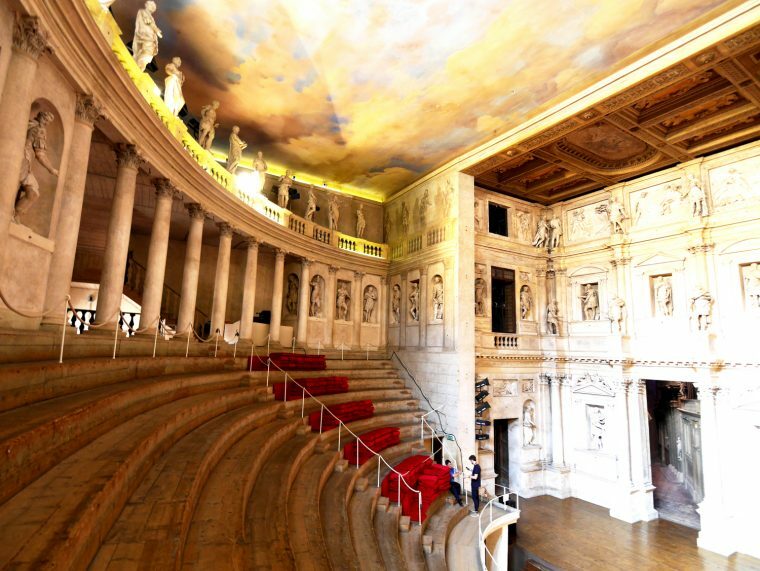 Vicenza is home to the Teatro Olimpico, the oldest indoor theatre in the world. Built between 1580 and 1585, the theatre was designed by Palladio, though like the Basilica not completed until after his death. 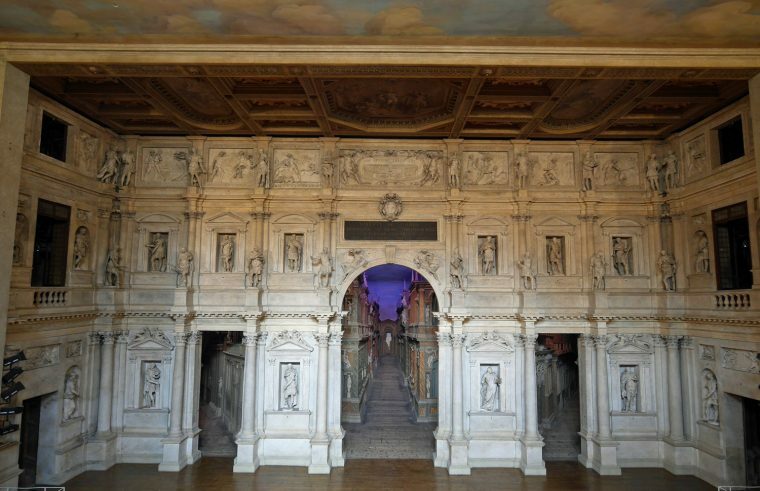 We took a look at the theatre in the afternoon before the Opera and were stunned by the trompe-l’œil set which was designed by Vincenzo Scamozzi and installed in 1585. Made from wood and stucco to imitate marble, the effect is a long street disappearing into the horizon. The opera (La Cambiale di Matrimonio or The Marriage Contract by Rossini) had to work its way around the set, so ingenious staging by Settimane Musicali was needed. It was a fast moving plot, full of beautiful arias. The heroine, Fanni, has been promised in marriage to an American, Mr Slook, by her uncle Tobias Mill. But, she’s in love with another, Edward Milfort. When Slook arrives and discovers that ‘his goods’ are mortgaged, he calls off the marriage but refuses to tell Mill why. Enraged, Mill challenges Slook to a duel. Slook decides he’s going to leave, but before that, replaces one of the pistols to be used for the duel with a peace pipe. Unknowingly, Mill picks up the peace pipe and heads off. Somehow, the lovers and their servants manage to persuade Mill to call off the battle, Slook convinces Mill that the couple should marry and everything ends happily. The singing was effortless throughout and, although with no surtitles for Brits like me who don’t speak Italian, I struggled at times to follow the action on stage, I thoroughly enjoyed the show. I particularly appreciated how balanced the small orchestra was with the singers. And, of course, the overall atmosphere in this historic setting was something I will never forget. 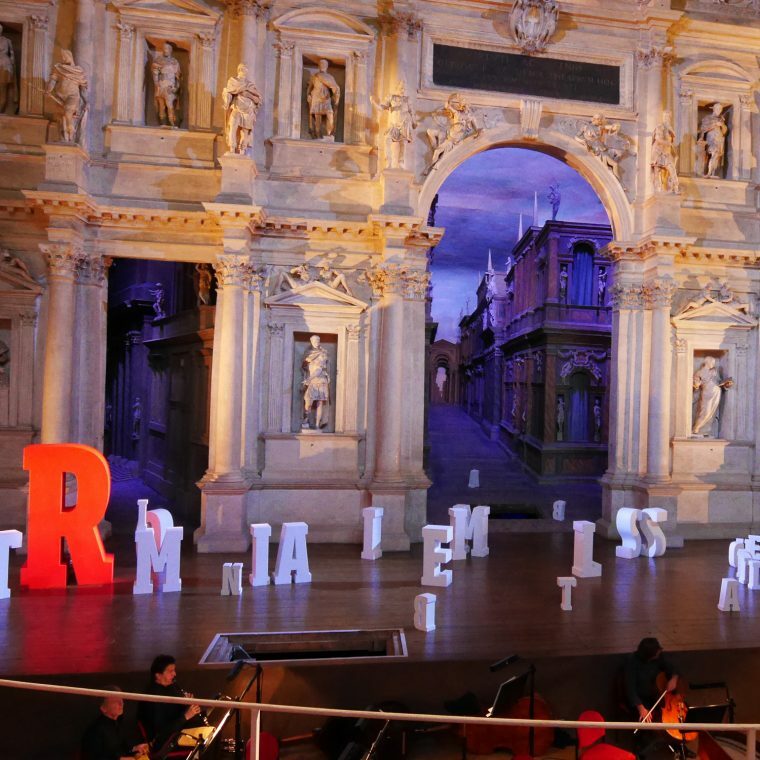 Well worth checking out music week by Settimane Musicali next year if you are planning to be in Vicenza or nearby. 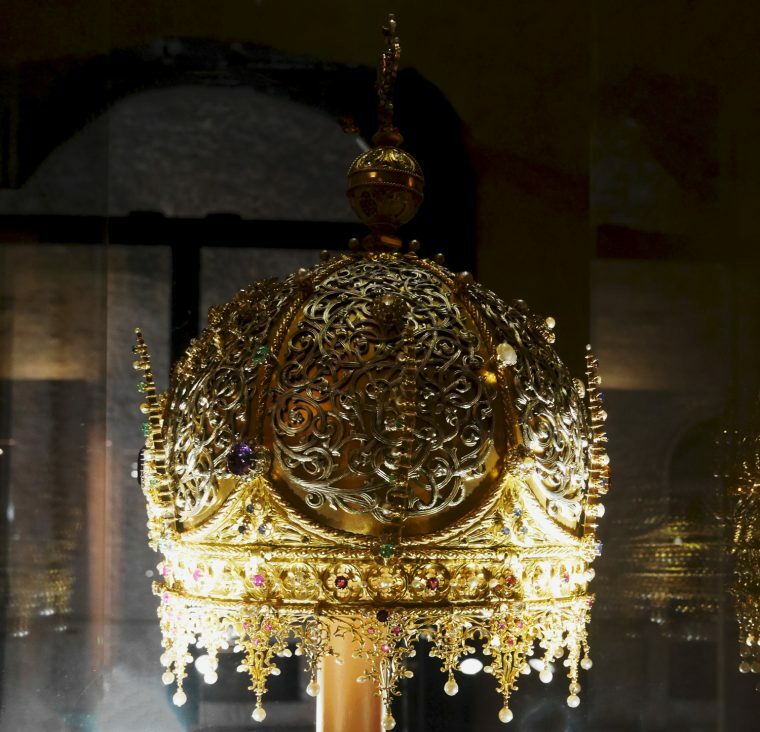 Vicenza produces about a fifth of all the gold and jewellery made in Italy, there’s a world famous Gold exposition in January and February and the city has a long tradition of gold jewellery making. 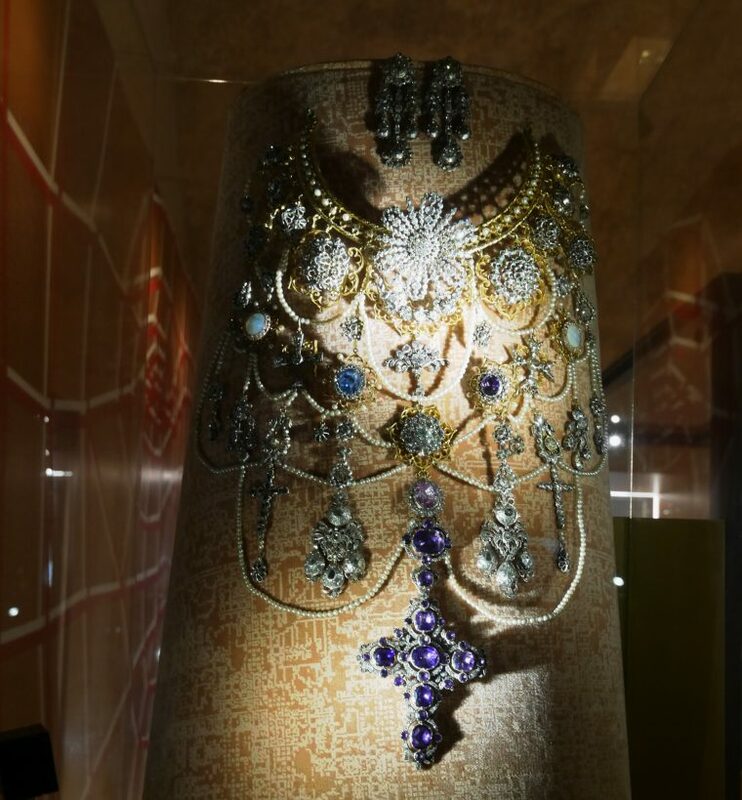 So, perhaps it is not surprising that it also has the only museum in Europe completely dedicated to jewellery and the art of the goldsmith. 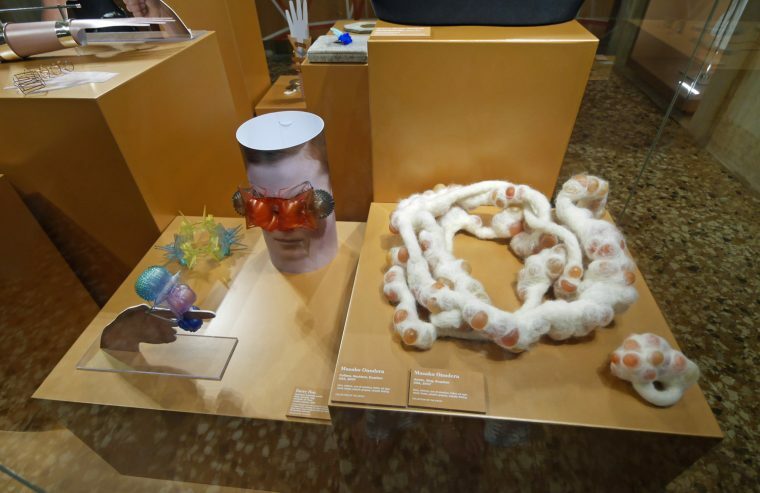 It’s a fascinating showcase for jewellery design of all types – I particularly liked the Magic theme – and was somewhat spooked by the ‘Future’ of jewellery. 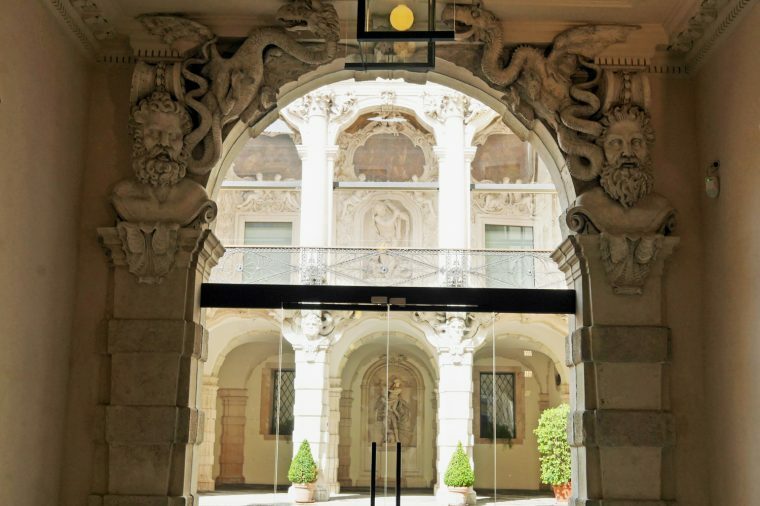 The museum is a good reminder that, despite the stunning architecture and wonderful collections of art in the Palladian Pallazo Chiericati and Palazzo Leoni Montanari, this is a living City. There’s a strong economy based on the local agriculture, on local steel and textile factories and on quarries for marble, sulphur, copper and silver. I’d have liked to spend more time here. 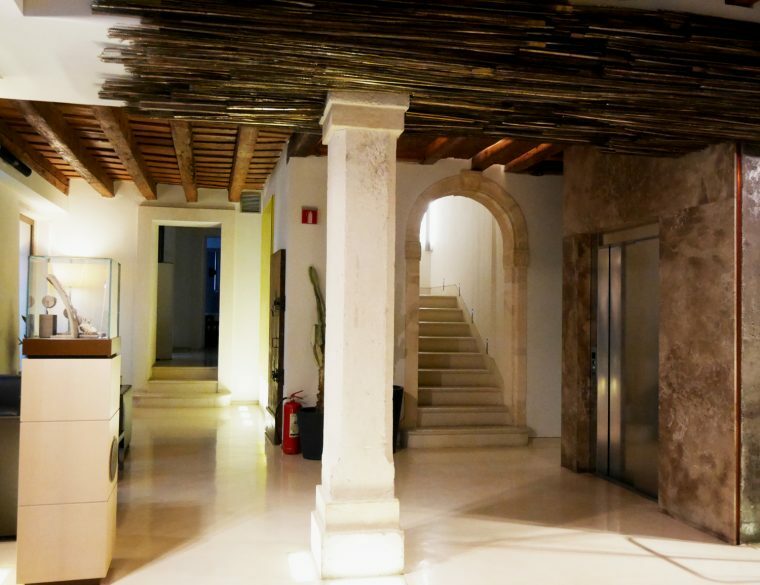 I’d certainly be happy to stay at Hotel Palladio again, a small but perfectly charming hotel right in the centre of the historic City. 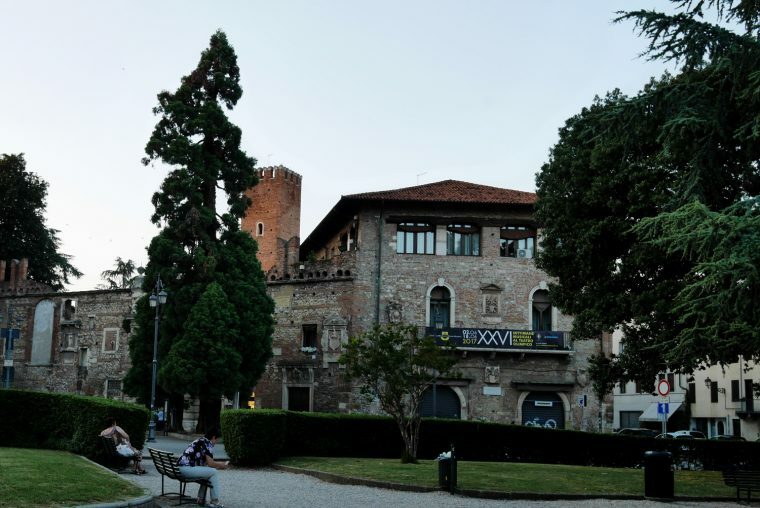 It’s a conversion of what used to be as an ancient customs port house for Vicenza and the building is from the XV century. The rooms are contemporary in style with industrial/warehouse styling lifting the old building into the 21st century. I loved the shower with eco-friendly products – hand made shampoos, soaps and body lotions from a Venician botanical garden. And I thoroughly enjoyed my breakfast of pastries, bread, ham and cheese. I’d be popping into Bistrot Il Ceppo for my lunch – a kind of restaurant/deli where you can choose from a limited menu of hot dishes during the day and a whole range of local deli specials – cheeses, hams and bacalao to take away or eat with a glass of wine in the evening. 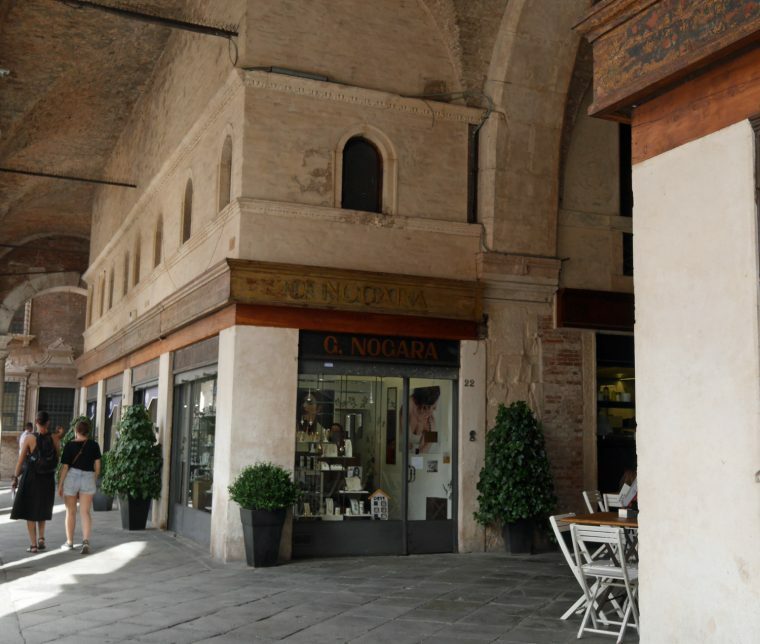 So, if you happen to be planning a trip to Venice or Verona do include a couple of days in Vicenza – a worthwhile diversion! Such a fabulous place! Its just the kind of place hubby and I love to explore. Definitely one to add to the bucket list. Vicenza seems magnifiecnt., Fiona! Awesome post! How many days would you recommend for exploring the city properly? Amazing photos and thanks so much sharing about all the history. 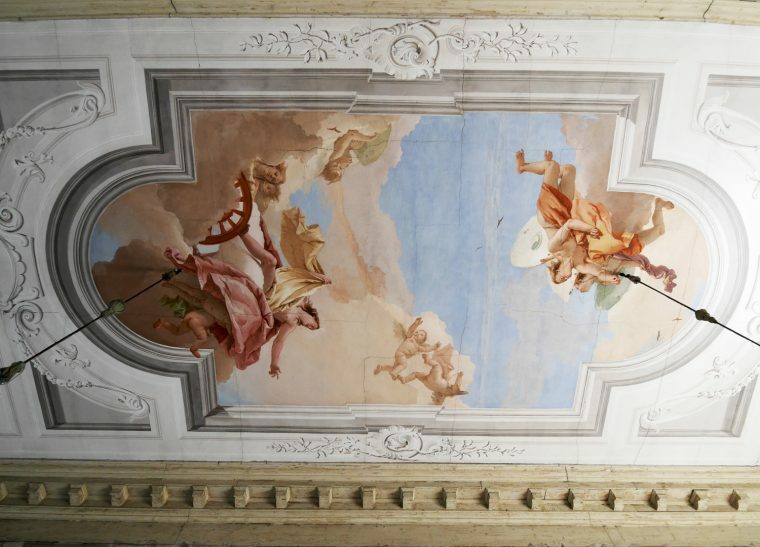 Wow Villa Valmarana ai Nani, has the most amazing ceiling ever! I absolutely love walks like this, especially in Italy, where there is always so much overt and hidden beauty to be spotted. Thanks for the fab pictures and this little window into a place that I’ve never been and never even considered visiting before! Recently, I’ve really come to realise how much I enjoy visiting some of the smaller cities and towns that, while not as famous as the world’s most famous places, are just wonderful to visit, with just as much culture and history and fascination to be found. You have added Vincenza to my list! 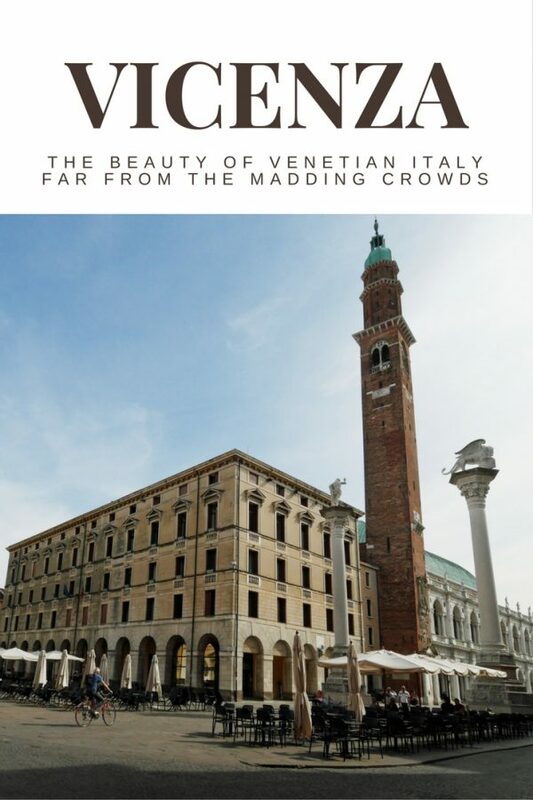 I think Vicenza should be on everyone’s list! Wow the list of things I want to see on my first visit to Italy just keeps growing. I may as well just move there haha. One more place to add to my next (which would be my third) Italy trip. Each time I think I’ve explored enough parts of Italy, I’m proven wrong. Vicenza seems right up my alley. What a gorgeous place! Thanks for putting VIncenza on my radar-would never have thought of going there.